The Panamanian airline lands in Puerto Vallarta and the Riviera Nayarit after over 8 years of hard work and strategic promotional and public relations strategies within the South American market. 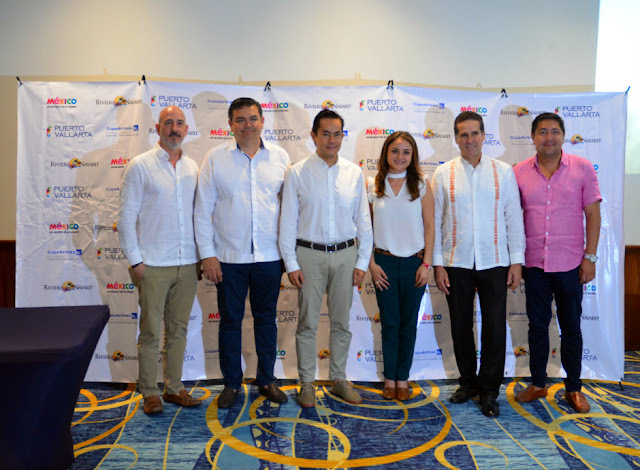 Beginning in December 2018, Panamanian Copa Airlines will connect Panama City directly with Puerto Vallarta-Riviera Nayarit via two weekly flights, connecting with strategic destinations in South America. The flight is expected to transport over 10 thousand travelers a year. 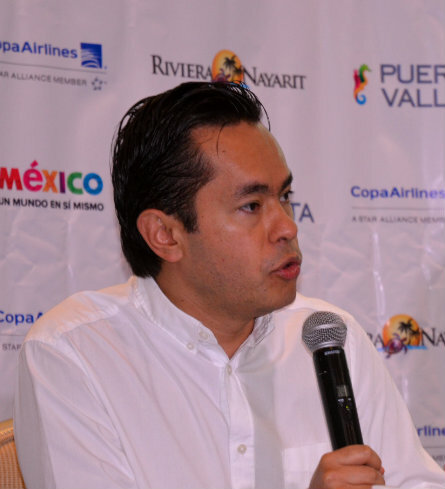 The official announcement was made this Wednesday during a press conference led by Diego Bermúdez Parra, Copa Airlines’ Regional Manager for Mexico and the Andean Communities. He indicated conditions are ideal for the flight to be a success: the availability of aircraft (a fleet of 100 planes), the correct infrastructure (connection hub), and a strong and stable Latin American economy that can ensure demand. Marc Murphy, Managing Director for the Riviera Nayarit Convention and Visitors Bureau (CVB) and the Bahía de Banderas Hotel and Motel Association (AHMBB) was also present at the conference, as were Nemesio Castañeda Coppel, Undersecretary of Tourism for the State of Nayarit; Miguel González González, Promotions Director for the Secretariat of Tourism for Jalisco; and Luis Antonio Villaseñor, Promotions and Public Relations Director for the Puerto Vallarta Tourism Trust (Fidetur). Copa Airlines will be landing in the region after more than 8 years of strategic promotional and public relations actions within the South American market performed by the CVB and Fidetur, not to mention the tourism secretariats of Jalisco and Nayarit, and the support of the Mexico Tourism Board (MTB). 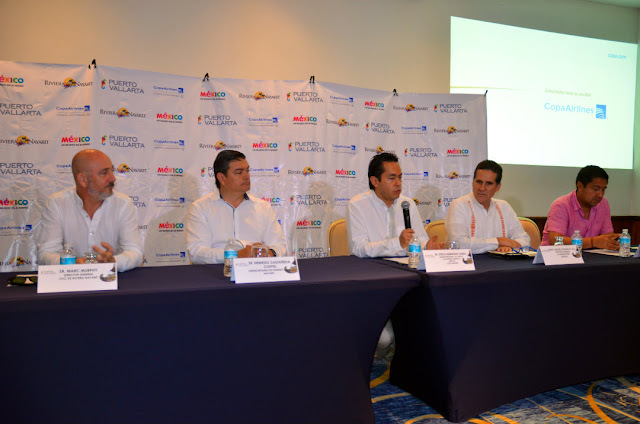 Marc Murphy, Nemesio Castañeda Coppel, Diego Bermúdez Parra, Miguel González González y Luis A. Villaseñor. The new route will add optimal connectivity to Argentina, Brazil, Colombia, Peru, Ecuador, and Chile, and will likely result in an increase in the number of reservations to this tourism destination. In this respect, Diego Bermúdez Parra, expressed gratitude for the preliminary work done by the different teams, with their patience, and dedication, all of which made this new route possible. He assured that Latin America is rich in alternatives when it comes to tourism destinations, but what’s important is how each one generates its own strategy to increase demand. 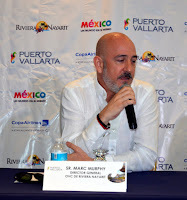 Marc Murphy, director of the Riviera Nayarit CVB and the AHMBB, praised the perseverance with which the negotiations were handled; this was a process that went through several stages over the years and finally began “making noise” in the different South American countries. The Copa Airlines flight begins with two frequencies per week, on Thursdays and Sundays, departing from Panama City at 9:05 a.m. and arriving at the Puerto Vallarta International Airport at 1:25 p.m. (local time). The return flight departs on the same days from Puerto Vallarta at 3:40 p.m., arriving into Panama City at 8 p.m. (local time). The route will operate on a Boeing 737-700 designed for 12 passengers in Executive Class and 112 in the Main Cabin.